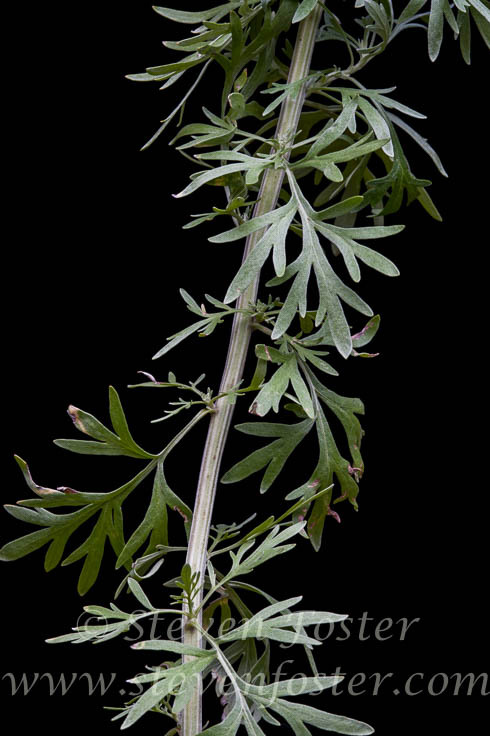 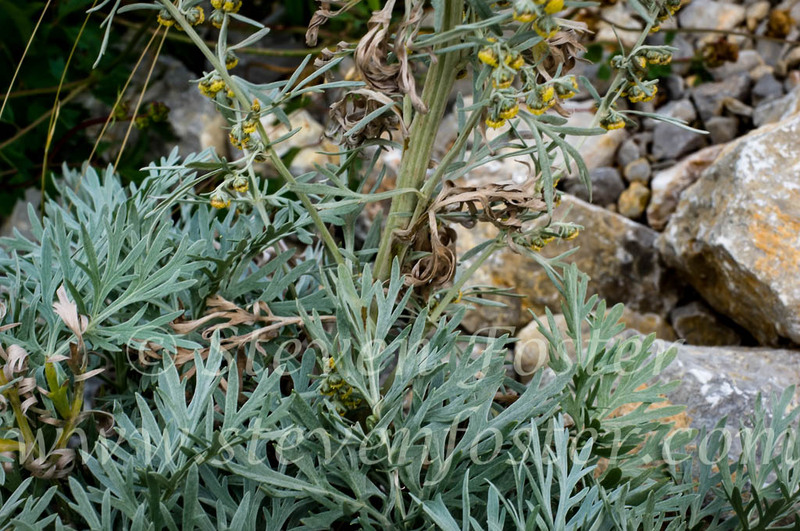 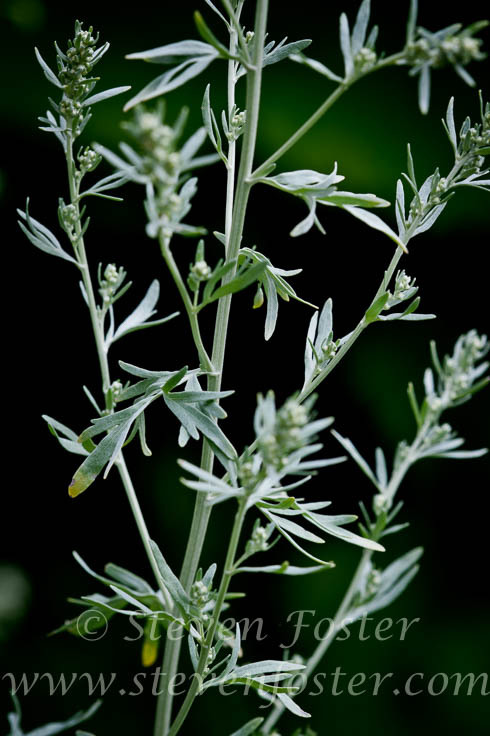 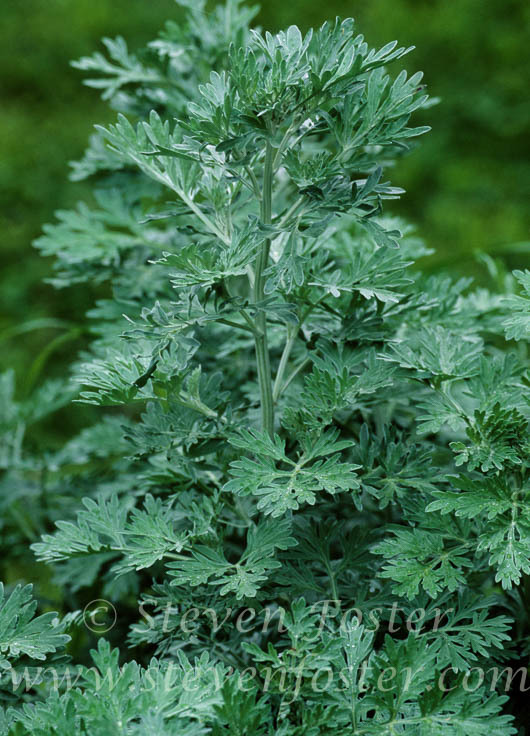 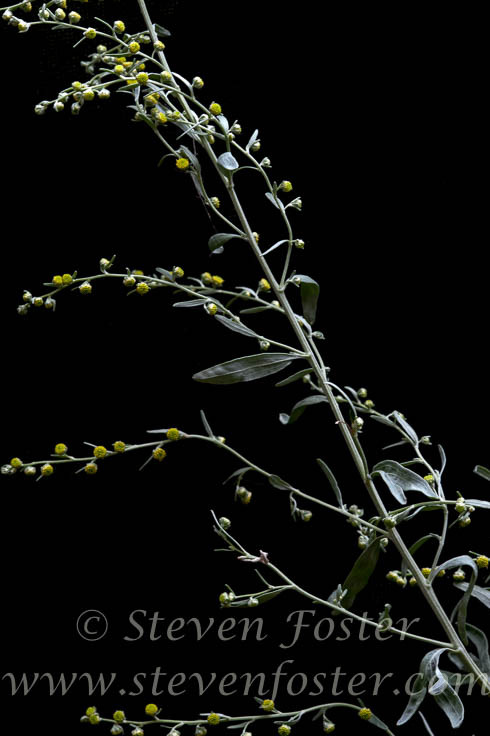 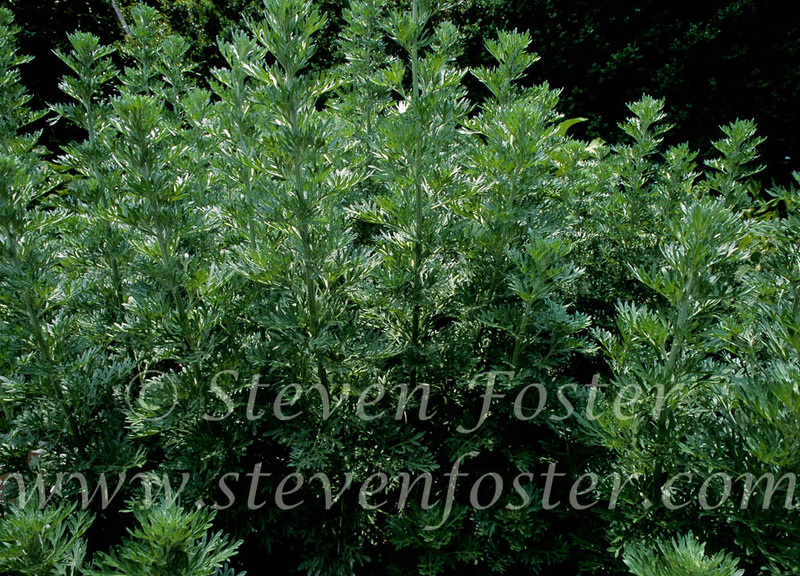 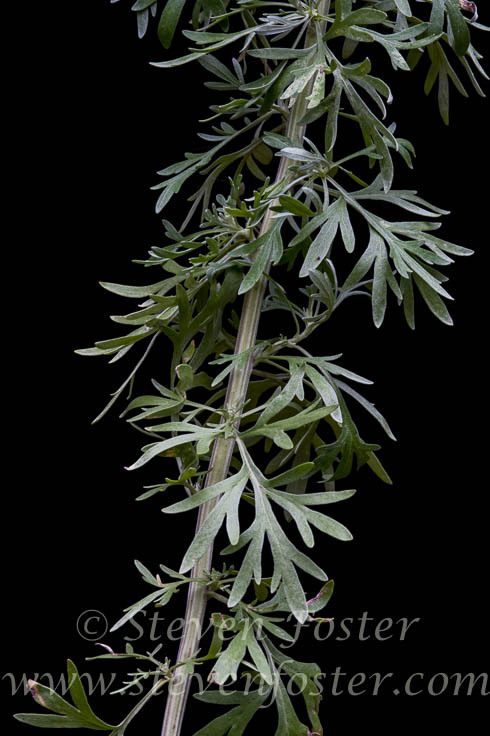 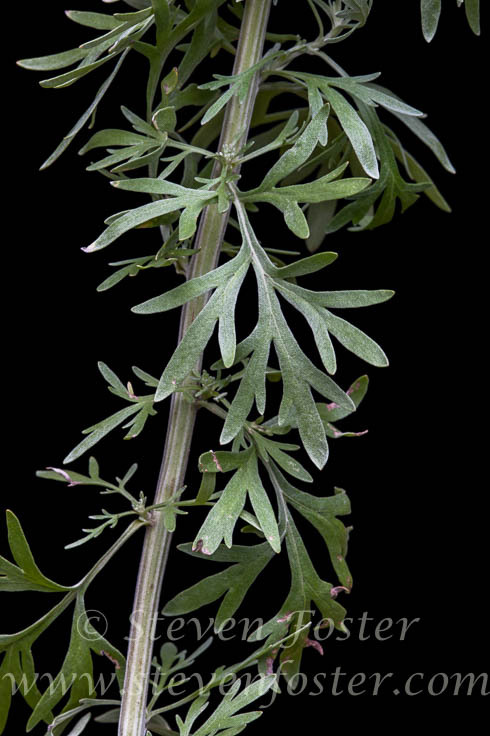 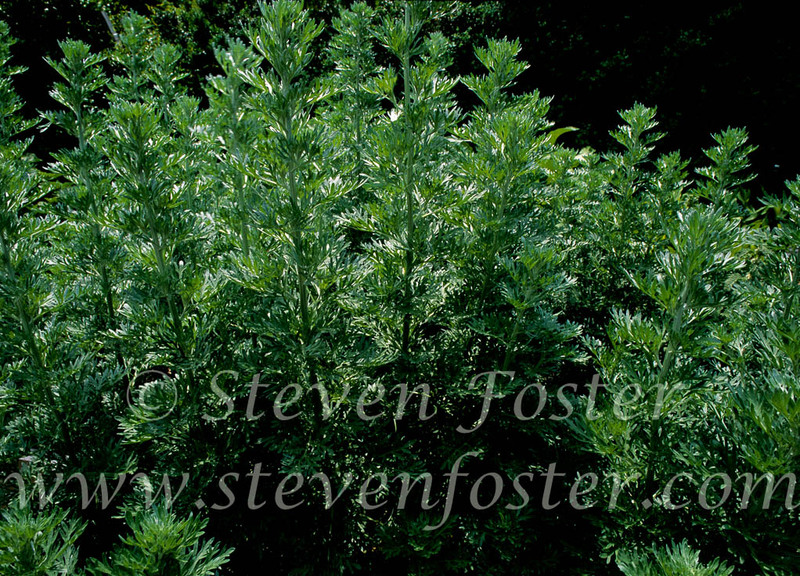 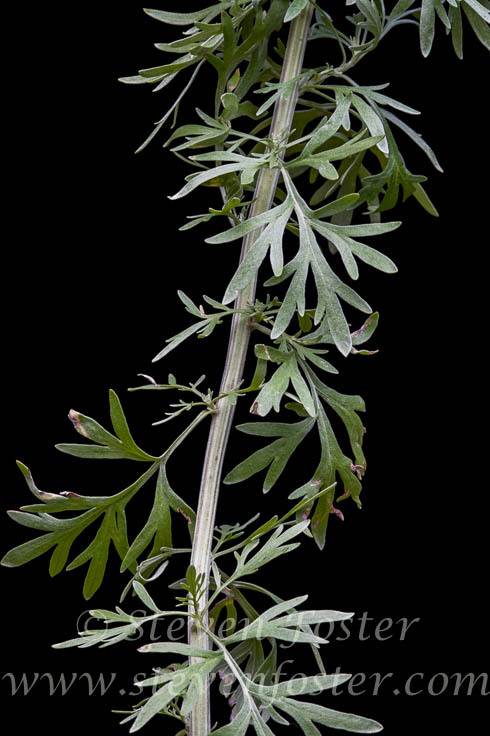 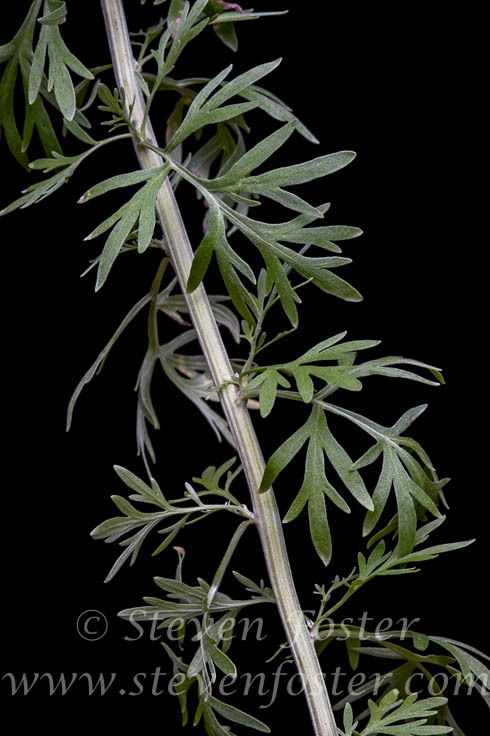 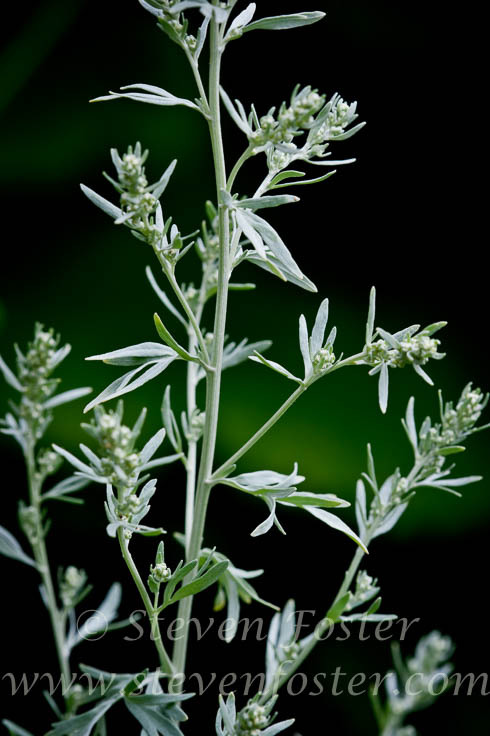 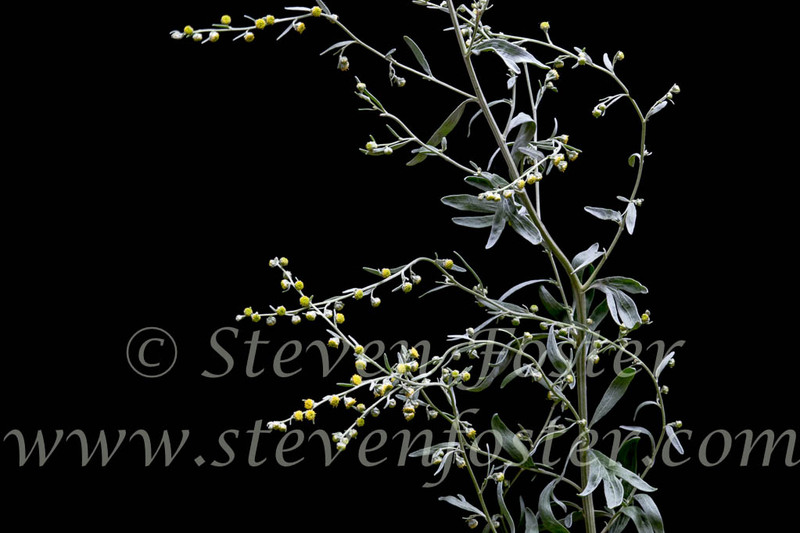 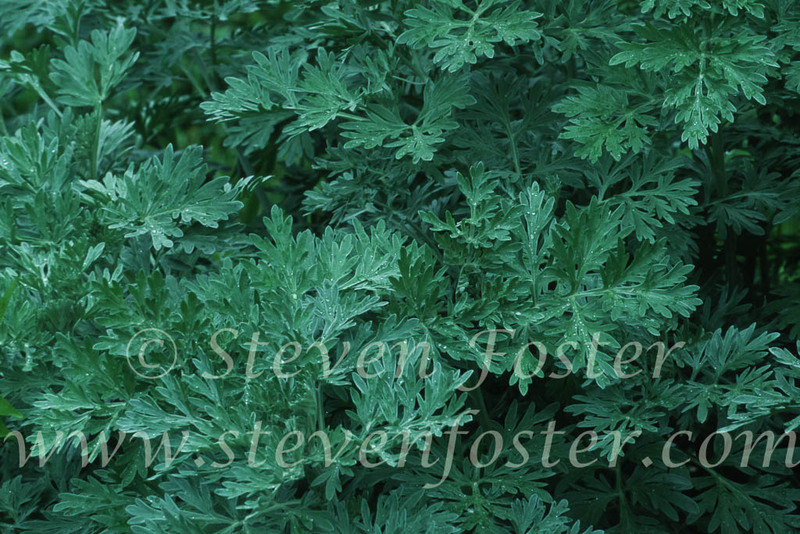 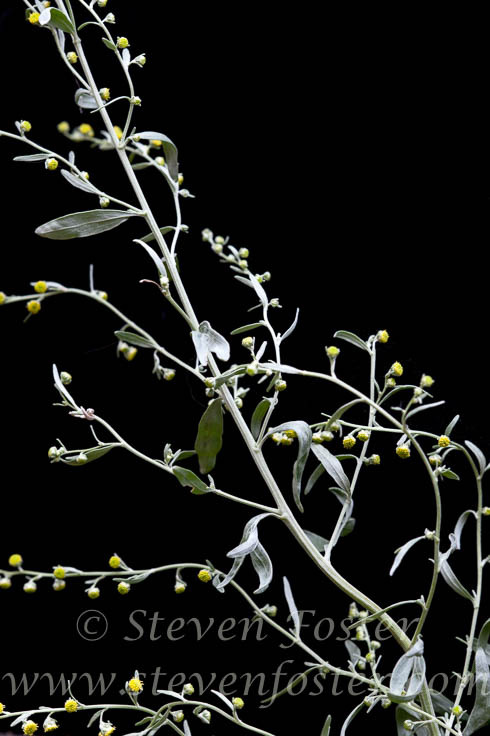 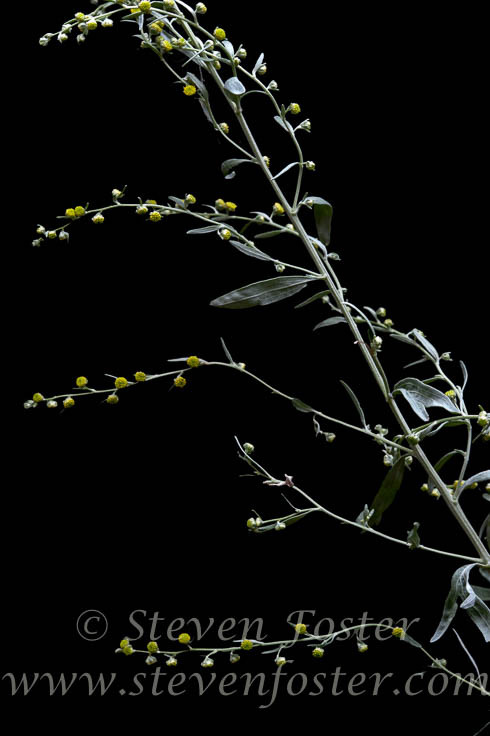 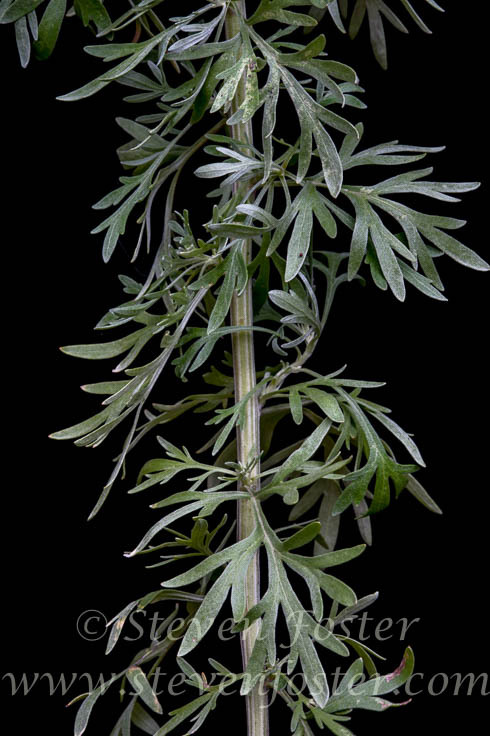 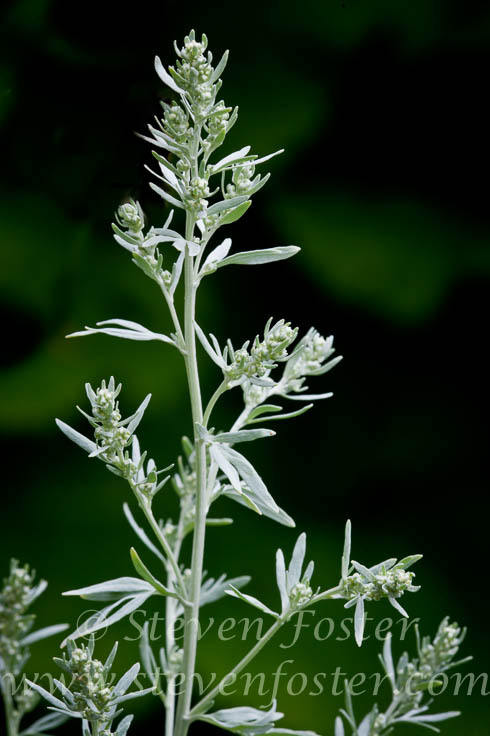 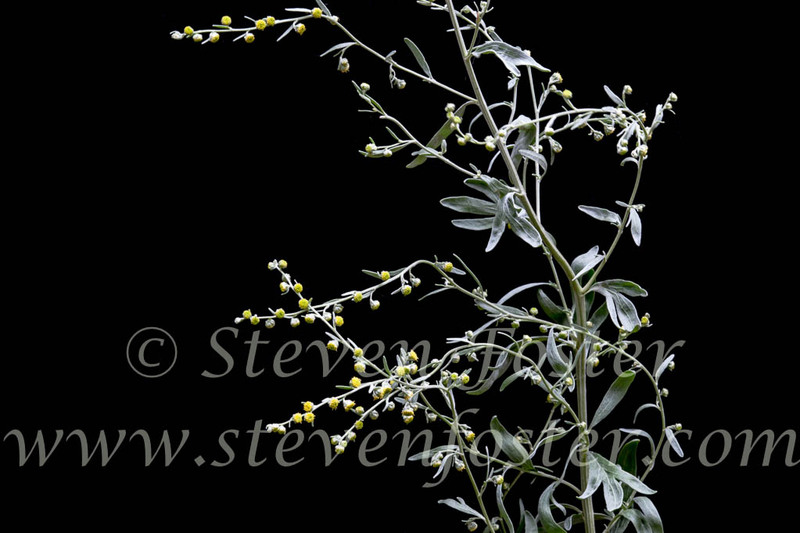 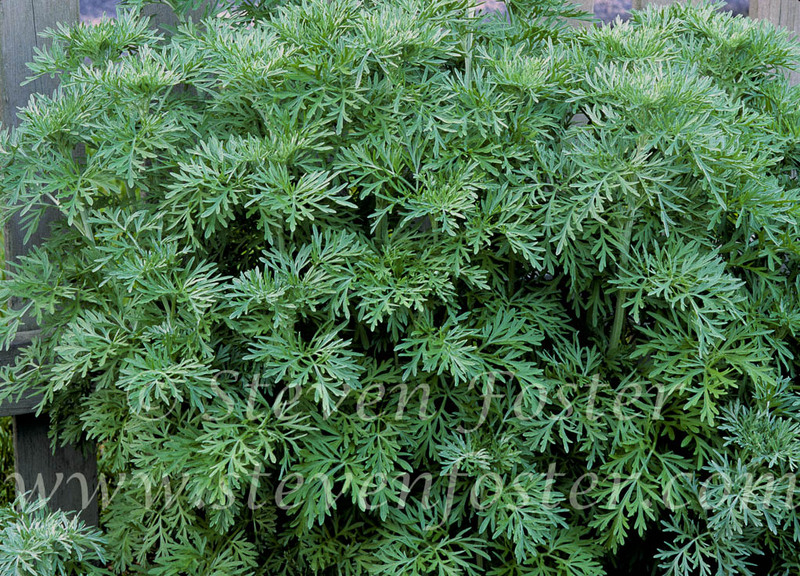 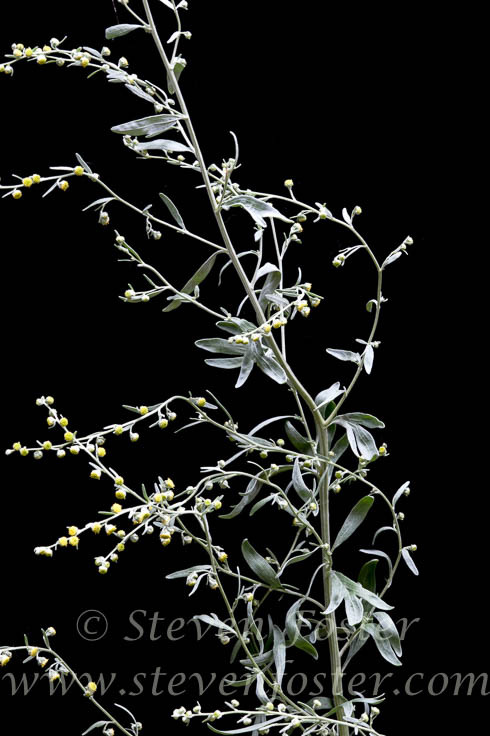 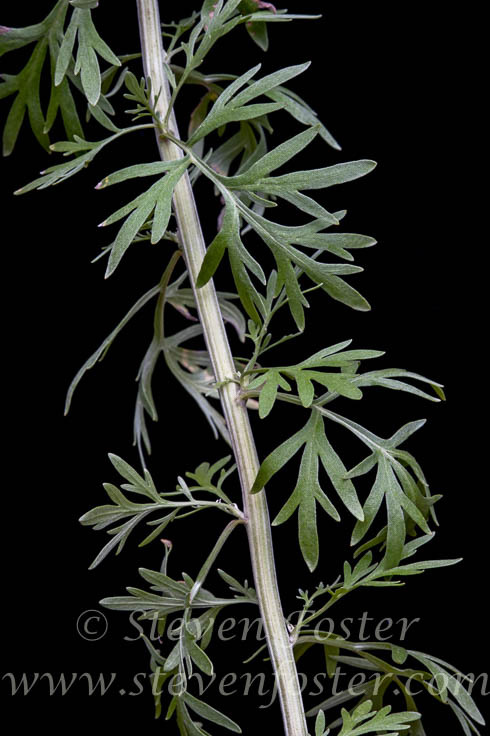 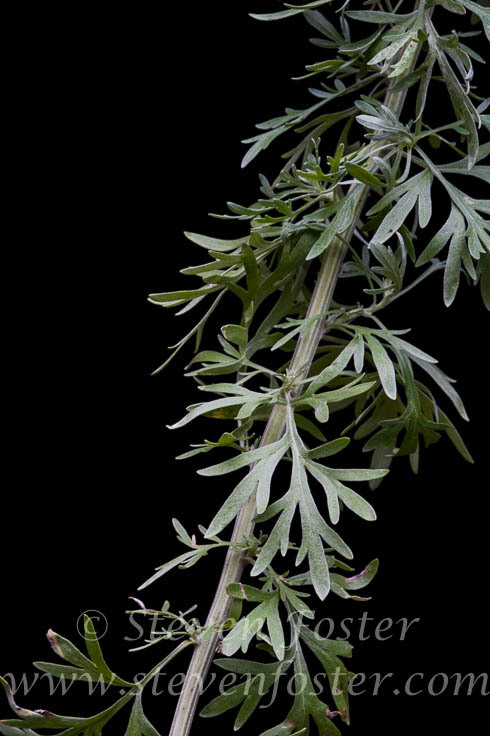 Photos of Artemisia absinthium, Wormwood. 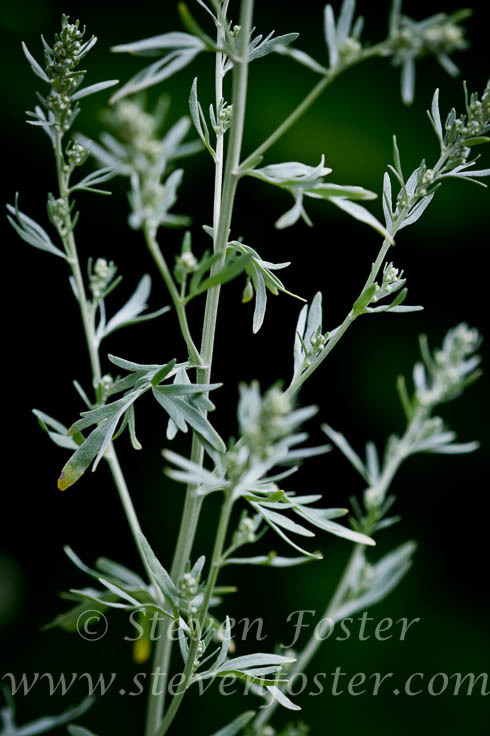 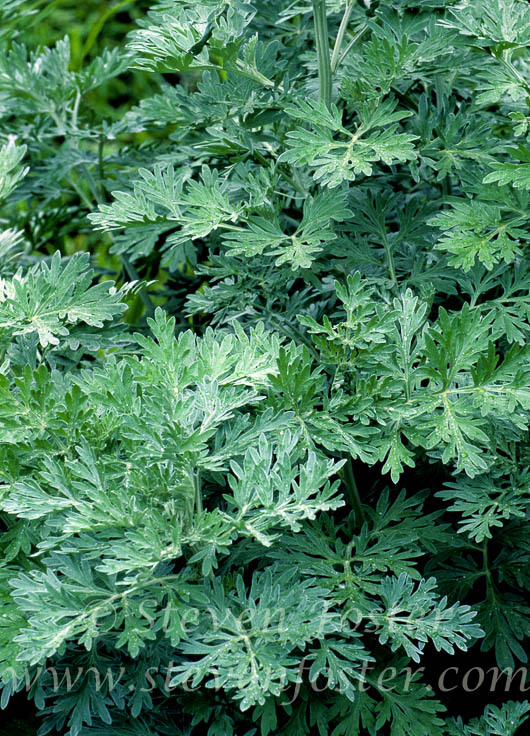 Artemisia absinthium, Wormwood, is a classic perennial bitter herb, long used as a bitter tonic to stimulate appetite and aid digestion; one of the best herbs for the treatment of dyspepsia, acting on the stomach and gallbladder, especially in conditions involving atony of these organs. 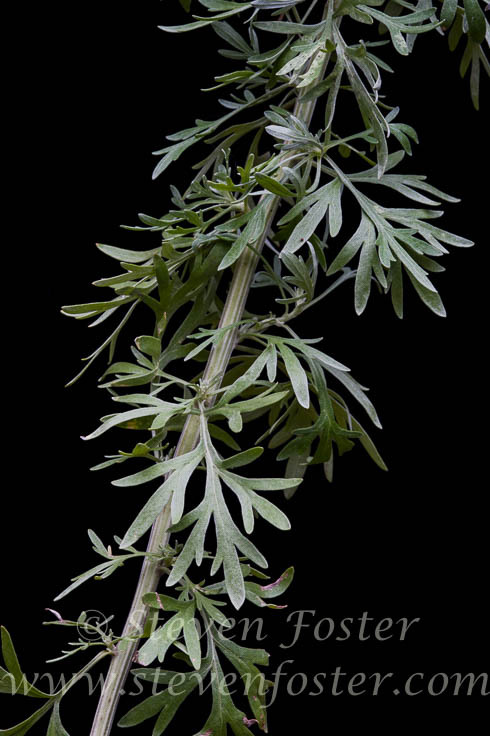 It is the underlying bitter flavor of absinthe, banned in most European countries and America by 1915, then made legal again by 2007. 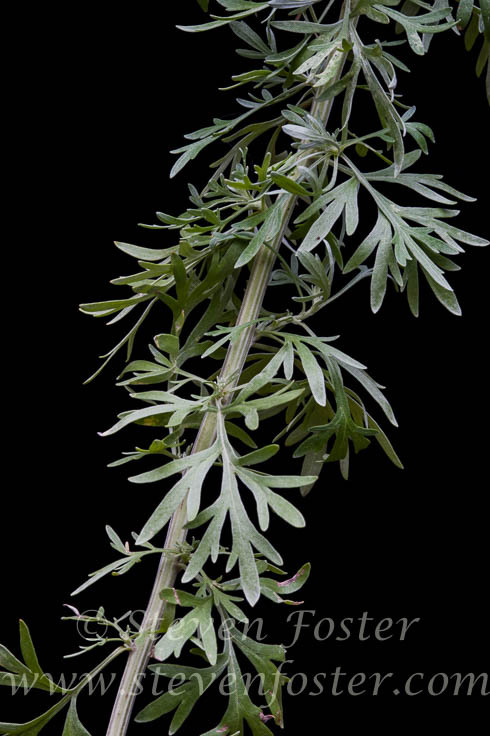 Absinthe again flows. 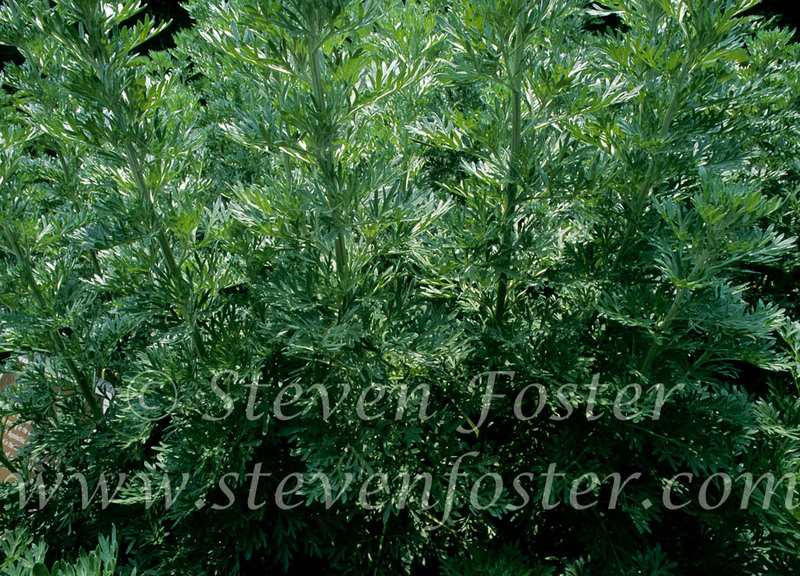 Named in honor of Artemisia the younger, sister and wife of Mausolus (Maussollus), satrap of Caria (350-353 BCE). 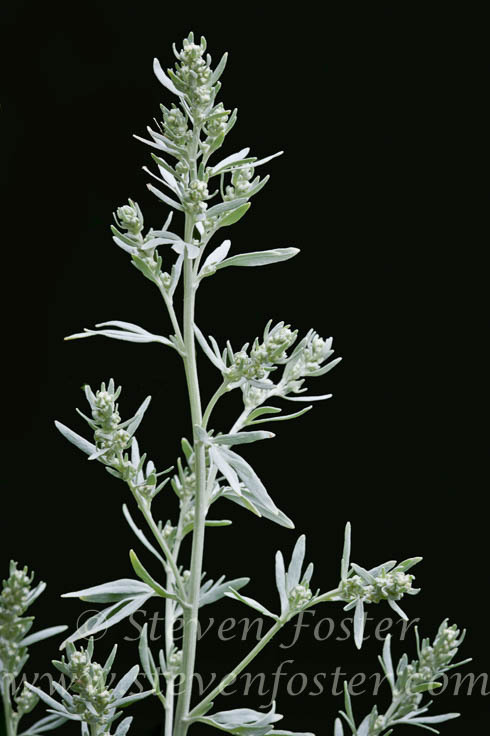 Artemisia became the ruler upon her husband's death, and in his honor, built the "Mausoleum" (from which our word for a monumental tomb is derived)—one of the seven wonders of the ancient world. 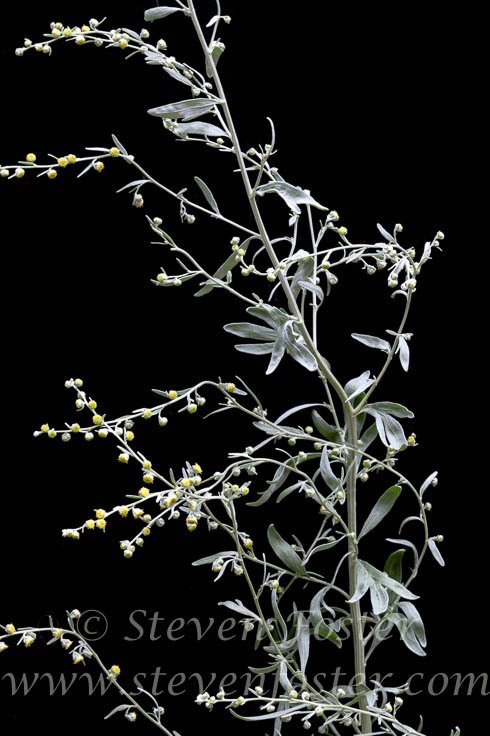 Also honors Artemis, Greek goddess of wild nature (wild animals, vegetation, chastity, childbirth and the hunt), the twin sister of Apollo (Diana of Roman tradition). Artemis defies Greek or Indo-European language derivations, some scholars attribute to Minoan origin.